Dressing for the sun in my “Indian Summers” inspired outfit – in the very loosest sense! The more I think about what I’ve written below, the more I realise…well, I’m not sure what I realise. Anyway, all I can say is, please just humour me! I know, don’t laugh, it’s only a pair of wide jeans and a white shirt, but this is my “Indian Summers” outfit. I guess that it’s more to do with the silhouette and the fact that it doesn’t contain ripped jeans, skinny jeans, flared jeans or trainers – as opposed to anything else. For anyone who hasn’t been watching, Indian Summers is a drama which tells the story of the decline of the British Empire and the birth of modern India. As you would imagine there’s a lot of “no good, argy bargy” stuff going on it and the clothes are beautiful; very stylish and simple, typical of the era. OK, so I was playing crazy golf in my outfit rather than croquet and I wasn’t wearing a dress, a hat, or gloves either, but in my head I could see the similarities. Sort of. 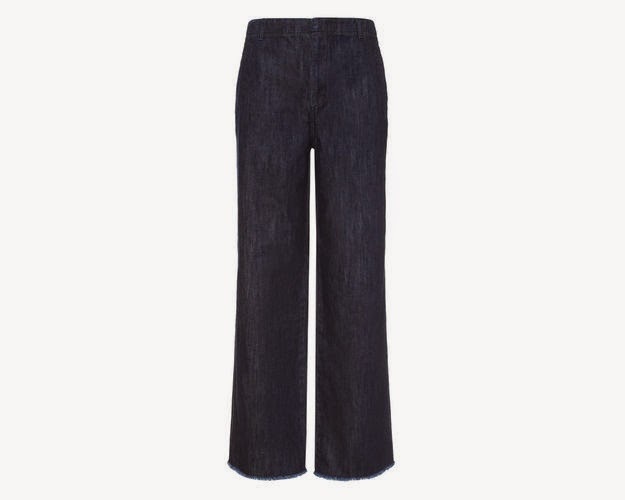 I bought these Whistles wide leg jeans (£95 minus the 25% Grazia discount) quite a few weeks ago now as an alternative to skinnies and I held on to them until the timing was right. The shirt is a Boden one that I have had for a couple of summers and the gold chain belt is from Reiss. The Jigsaw bag is probably ten years old. Incredibly, a very observant instagram follower in Brisbane recognised it as the bag that I had repaired by the handbag clinic a couple of years ago. Impressive! These Aldo sandals may just have come my way yesterday when it became clear that the sun was promising to shine for a few more days. As you know I’ve had my eye on them for a while and so far, so good. I wore them for the whole day (they’re not very Indian Summers I admit) and they were really, really comfortable. Loving seeing everyone out and about having fun in the sun. Hope that it continues for many more days yet.